Enterprising Women Durham - Launch! If you have a business in Durham, and want to build up your contacts and meet like-minded women. Then Enterprising Women Durham is the club for you! "The more the merrier" warmly invites Nancy Radford, your host and a dependable advocate of networking and bringing like-minded individuals together to share challenges and successes. Nancy has over 18 years experience as owner of a successful company, before setting up Roundtuit Durham. 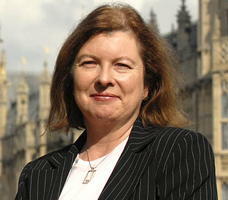 Nancy has varied experience in the public, private and third sector. A qualified coach and mediator, Nancy is renowned for giving others the skills and tools that make her redundant. Nancy is looking forward to building a dynamic local club of Durham businesswomen who want to build their relationships, learn from each other, and share knowledge, inspiration and motivation! We are extremely delighted to announce that the Right Worshipful Mayor and Mayoress of Durham will be attending the launch! We are very excited. Mayor John Robinson likes to engage in his community and is extremely looking forward to meeting the inspiring group of female entrepreneurs that make up Durham. 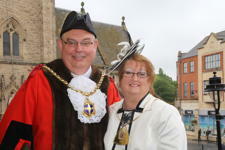 "The Mayoress and I are very much looking forward to attending the Enterprising Women Launch Event in Durham. I am sure that the launch event will be a wonderful evening and anticipate that the club will be well supported. New businesses need support and obtaining advice from people who have been there already can make all the difference." We are very proud to announce that we also have MP Roberta Blackman Woods, attending the launch! Roberta is very keen on the regeneration and economic development of Durham and is excited to meet our group of inspiring women. "It is great that Enterprising Women are launching a business club in Durham. The club will bring together female entrepreneurs and women in business from across the city, allowing them to share their knowledge and expertise with one another, and will also help them to create vital contact networks. It is very important that we look to support women in business and I hope this club will benefit women in Durham. I look forward to meeting with the business club's members and Enterprising Women at the launch in September." So what are you waiting for? Book now build those contacts and meet the Mayor, Mayoress and MP of Durham!